Angkar is a film that attempts to raise the question of memory, and shows the vital importance of narrating the past. 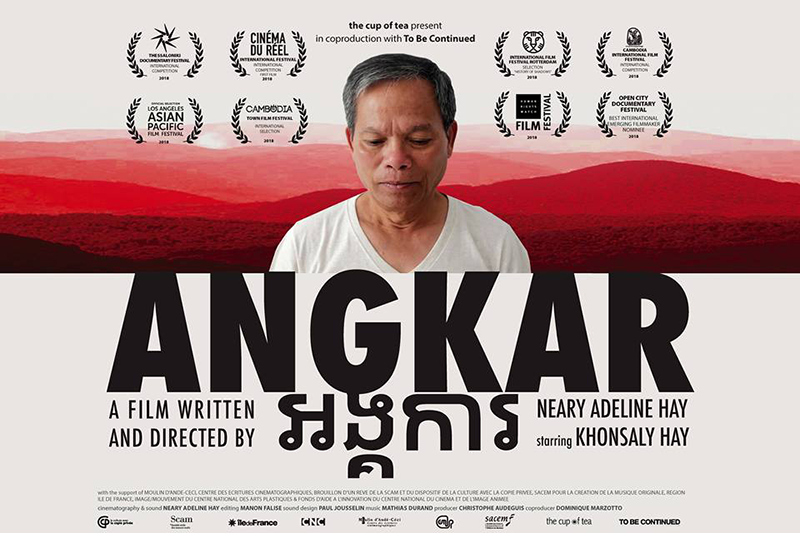 The filmmaker, who was born from a forced marriage at a village of detention during the Khmer Rouge regime, has for a long time nurtured the desire to explore and better understand this period of Cambodia's history marked by violence and repudiation. A personal journey back in time, in the company of her father Khonsaly, who meets his former Khmer Rouge persecutors in the obscure intimacy of the village in which they lived together as prisoners for four years. Between past and present, identities are revealed, the forgotten spectres re-emerge and the story, face-to-face, is finally told. The film stands as a testimony of survival, a tangible document which contributes to the reconstruction of the memory of a country. Q&A with director Neary Adeline Hay.